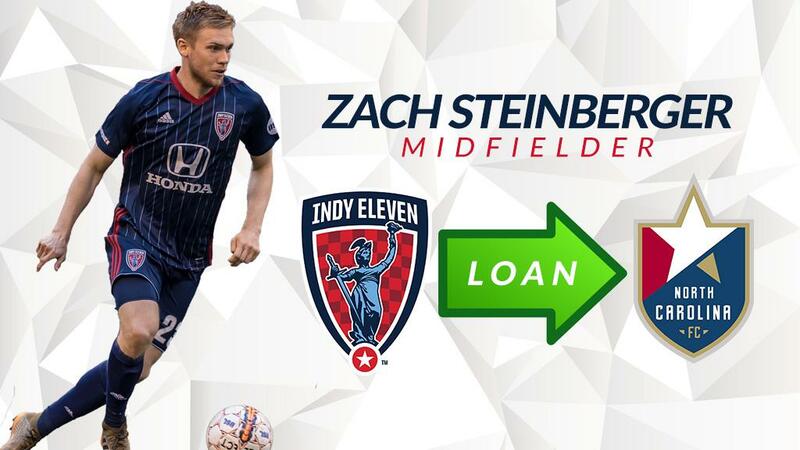 Indy Eleven announced today that the club has loaned midfielder Zach Steinberger to USL side North Carolina FC through the end of the season. Steinberger, 26, has accumulated 1,114 minutes of play in 17 matches after re-signing for Indy this season. In that time, the experienced midfielder tallied one goal and one assist. The former first round MLS draft pick of the Houston Dynamo, first joined Indy Eleven on loan in 2015, scoring two goals in 12 appearances for the “Boys in Blue”. In 2016, Steinberger joined the Jacksonville Armada on loan before signing a permanent deal for the 2017 season. The Butler University standout scored 12 goals and recorded six assists in 52 appearances for the former NASL club, before returning to Indy in February.